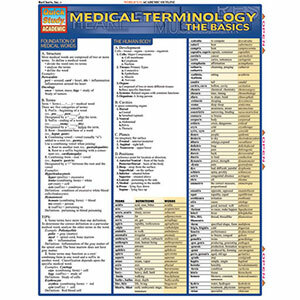 This QUICKSTUDY reference guide is a comprehensive list of medical terminology. Use it to your advantage in class, during homework and as a memory refresher while preparing for exams. Reinforce your knowledge of medical terminology with this convenient guide. This is a powerful study too that can be quickly and repeatedly referred to during and well beyond you college years.